Online marketing is all about engaging customers by finding out what grabs their attention and entices them to look further into your website. Social media is an important part of digital marketing, and using social networks to send tweets and posts is a great way of reaching out to the consumer, especially if you have done your research and sent your messages accordingly. This being said, tweets and Facebook posts tend to have a short life, and due to the sheer amount of fresh tweets and posts sent throughout the day, a user can simply tap refresh on their social platform and your post will magically disappear into a sea of digital clutter. With this in mind, it is imperative that brands now produce content that not only grabs consumer interest, but also pushes for engagement and brand loyalty. Cue YouTube. 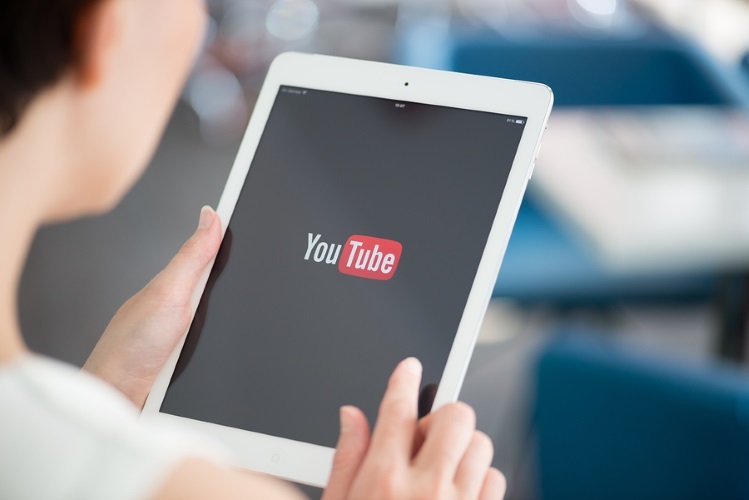 YouTube isn’t a new platform and therefore shouldn’t be thought of as a new tool; it has however being used as an increasingly new tactic over the past few years. A great way to drive engagement and increase followers is through the use of visuals, in this case videos. If done correctly, videos can have a huge effect on the popularity of your brand. According to YouTube, the platform gets roughly 1 billion unique visits every month, of which 6 billion hours are viewed month on month. As well as this, they also state that there are millions of new subscriptions to channels everyday! Some may say that it is a slight cop out using GoPro as an example, due to the fact that making videos is exactly what their product is for, and therefore it is much easier for them than, for example, a company that sells paper clips. This being said, the way in which GoPro have embraced their exciting and ‘out there’ brand personality, and channeled this through their YouTube channel, is what makes them such a success. The channel is filled with extreme sports videos of real people, including amazing sporting tricks, babies riding skateboards, and even some of the worst sporting fails. Either way you look at it, GoPro have done their research and know exactly what their audience wants. This is what got them 2,481,345 subscribers, as well as a total of 626,900,569 views. With the ever long battle against Apple and the iPhone, Samsung Mobile really had to pull something out of the bag to stay relevant. Looking at their YouTube channel and content published, I am guessing a lot of their popularity is down to the great team behind the scenes. Samsung have thrown out some amazing YouTube videos, playing on both the humourous, as well as emotional side, of the viewer. They recently published a selection of family based advertisement on YouTube, which displayed the perfect balance between consumer targeting, and content that displays what their new phones can do. This great balance of entertaining, yet insightful, videos have landed them a total of 1,134,379 subscribers, along with a total of 598,406,222 views. Nike is another brand that have excelled with their YouTube marketing efforts. Their brand personality very much reflects that of an outgoing, fun, athletic, football lover. This is represented perfectly through the types of video they push through their YouTube channel. Their most recent selection of videos surrounding the World Cup were the animated clips of current football stars. They successfully tapped into current football humour and jargon by having footballers such as Zlatan Ibrahimovic boast about how good a footballer they are. Being a football fan myself, this is exactly the kind of video that I would like and share. Not only do they provide humorous videos, they also share useful and informative posts such as football master classes. Nike Football currently has around 1,915,666 subscribers, and one of their most recent videos this week was Khedira’s master class, receiving over 165,000 views! Moving away from the more sport and technology orientated brands, Hubspot is one company that really shows you don’t need to be a globally recognised and cash rich company to be successful at YouTube marketing. For those who don’t know, Hubspot is a marketing software firm offering all kinds of network solutions. They aren’t a huge firm such as Nike or GoPro, but on a smaller, relative scale, are just as successful. A lot of their content includes informative videos and takeaways from large events, as well as “how to” videos, advising users on how they can improve certain aspects of their marketing. They have successfully tapped into exactly what their target audience are after in terms of content, and provided extremely useful and engaging videos to suit. Your brand can benefit massively from having a strong YouTube presence; incase you aren’t sure on what needs to be done, Kooazi.com have a great guide for what to do in terms of a branded YouTube strategy.